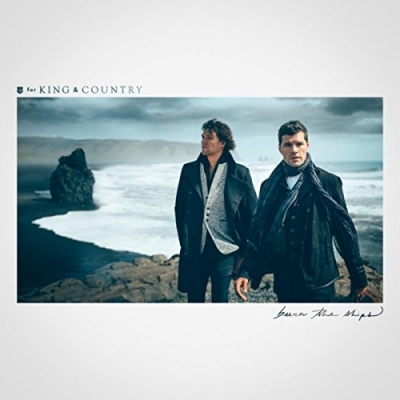 Two-time GRAMMY award-winning duo for KING & COUNTRY will release their full-length album, Burn the Ships, on October 5th. The time since their last studio album has clearly been time well spent, as Burn the Ships’ debut single “joy.” has given the group their first ever appearance on Billboard’s All Genre Digital Song Sales Chart. “joy.” has been streamed in excess of 4 million times in the U.S. and its accompanying music video surpassed 1 million views within days. The album’s cover image was shot in Iceland, a country that has become somewhat of a centerpiece for the album. While in Iceland the brothers shot the music video for the song “Pioneers,” which was released today, and the song was added to Spotify's "New Music Friday" playlist. The video features Joel, Luke, and their wives Moriah and Courtney contemplating the Icelandic countryside, which serves as a picturesque version of what it means to carry on within a seemingly desolate and volcanic framework. View the video above.